Everyone should visit London at least once. New York, Paris and Beijing may take umbrage, but London is the centre of the universe, the capital of the world and the buzziest place on the planet. Those of us who love it and don't live there have to keep returning again and again, which is why the best places to stay in London are also some of the best places to stay in the whole world, with something more for most tastes and most budgets. The whole world is represented here and people are under every roof, and through every door, and on every street doing everything you can imagine, and lots of things you can’t. And London is enormously cosmopolitan. A recent survey showed that in all but three boroughs, more than 100 different languages are spoken. Like many major cities, there is an energy in London which is as palpable as it is infectious. The architecture is a thrillingly eclectic mix of eras and styles and history is everywhere. Sometimes that history is being made right before your eyes. Whatever your enthusiasms or age you will find weeks worth of things to interest you, many of them free. And whatever, or however, you like to eat there will be something to suit you at almost every hour of the day or night. Where to start should be the question. The V&A? The Natural History Museum? The Science Museum? The British Museum, the Royal Academy? The Tate Modern or Britain? Oxford Street, Regent Street, Bond Street? Knightsbridge, Kensington? The Royal Albert Hall? The Southbank? The Globe? The Thames? Hyde Park? Battersea Park, St. James’s Park, Richmond Park, Kew Gardens? These are just the headliners. If you're here for the museums then Kensington might be a good locale to start your accommodation search with. If you're here to treat yourself look at Knightsbridge, or even better, Mayfair. And if you're here to see a show and do some shopping choose a property in the West End. Hipsters and those looking for great design or for great value should check out the South Bank and the East End too. 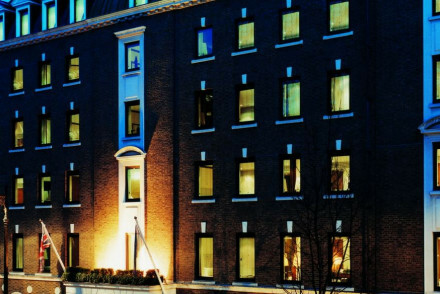 If it's a business trip then you'll probably need to book a hotel in the City of London. From clean, but basic, youth hostels to the world's grandest properties, the list of the best places to stay in London is long. For most of us price does come into the equation (as does location), so here are some of our Guru's top picks by price bracket and neighbourhood. 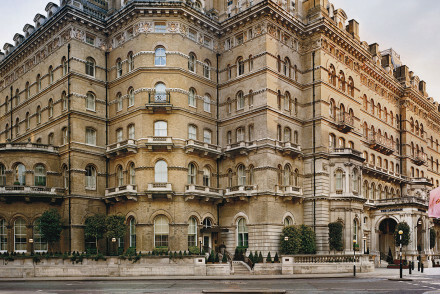 Claridges is a London institution, one of the best hotels and arguably also one of the most beautiful. 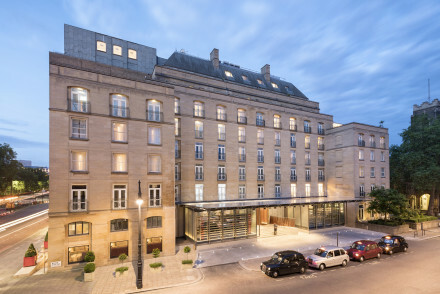 The hotel's recent refurbishment was sympathetic to the beauty of the original and the restaurant and the top floor spa have become just as popular as afternoon tea in the foyer. 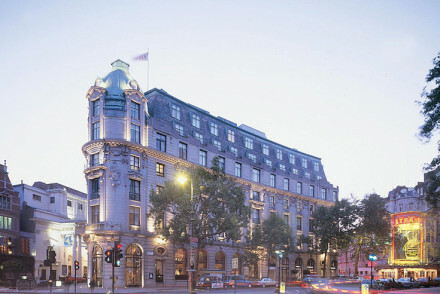 The Berkeley is a fabulous hotel opposite Hyde Park. 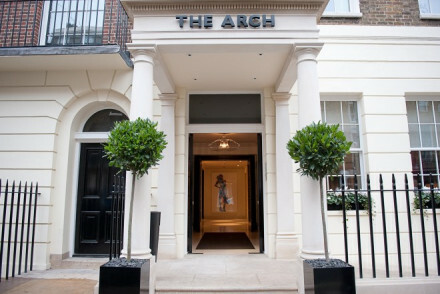 It's been given a stunning new modern entrance, plus you'll find a rooftop spa with swimming pool (that becomes an outdoor feature when the weather allows in summer), seriously good food (Marcus Wareing's eponymous restaurant is here) and impeccable service. 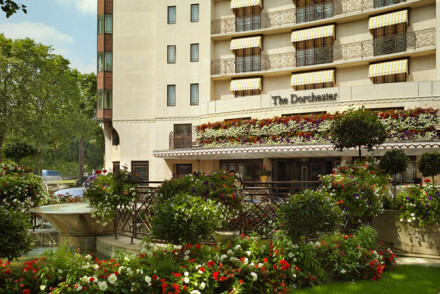 The Dorchester is another London institution, this is the kind of place to come if you want the royal treatment. 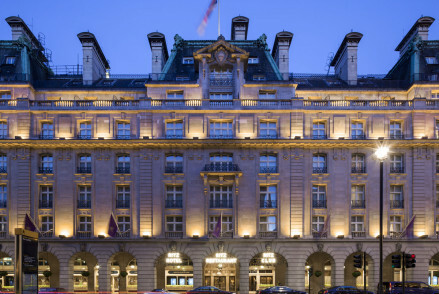 Or, for something just as glamorous, but a bit more glossy, less fussy, try The Dorchester's sister hotel, 45 Park Lane, which has an Art Deco flavour and Wolfgang Puck's highly recommended CUT restaurant. 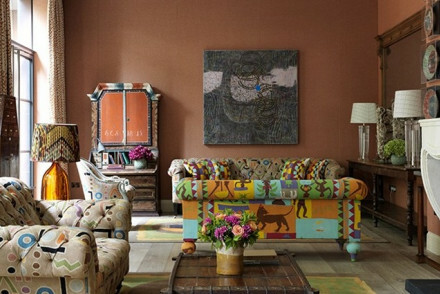 Brimming full of character, Hazlitts has been converted from three Georgian townhouses in the heart of Soho. Close to nightlife, top restaurants and most of the major sights, it's the ideal base for a city break with real style. 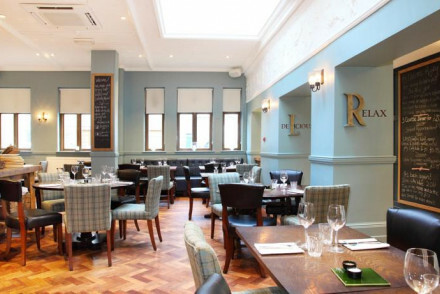 The Rookery is situated in trendy Clerkenwell and is a stunning conversion of three 18th century houses. The interiors are filled with classic antiques, roll top baths and open fires. A romantic haven in London's hip East End. 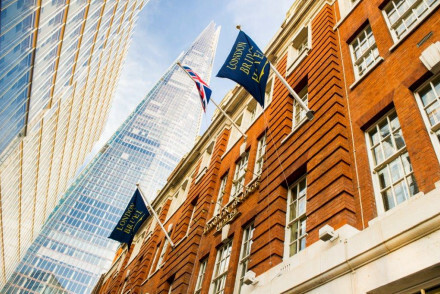 A good hotel for business clients and also for the ordinary tourists, the London Bridge Hotel is perfect for those who want a base on the South Bank. A stylish and welcoming place to rest your head with great food and gym facilities. 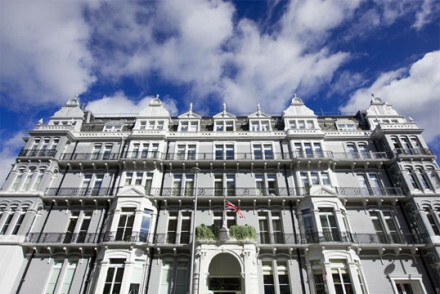 The Rockwell is a great value townhouse hotel, perfect for exploring the Museums in South Ken. Stylish bedrooms with oak fittings, plasma TVs etc. Great courtyard space for enjoying the warmer weather. 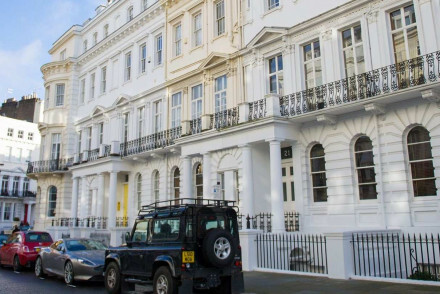 The downside is its location on the busy Cromwell Road, but that's probably why it's such good value. Popular with the hipster set, The Hoxton Hotel offers prices based on easyjet principles, the earlier you book the less you pay. Stylish and arty, with a bit of an attitude this is a great option if you're a bit cool. 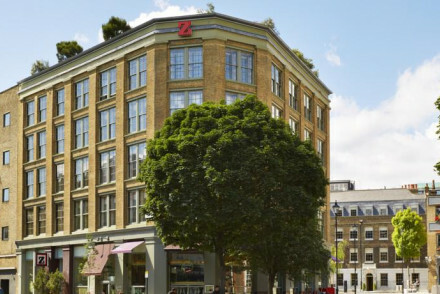 The citizenM brand is another trendy, contemporary 'lux for less' option, and they now have three branches to choose from: citizenM Shoreditch, citizenM Tower of London or the original citizenM Bankside. Iconic art and furniture throughout, plus their trademark floor to ceiling windows and up to the minute gadgetry. Church Street Hotel is a friendly boutique hotel is in Camberwell, South London which feels like it is in South America. Brightly painted bedrooms, iron bedsteads, handmade washbasins – the vibe is summer all year round. Great value for money. 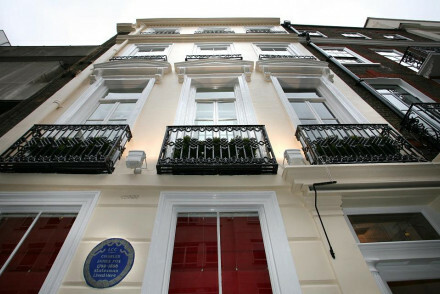 B+B Belgravia For cheap accommodation in a top notch address, look no further. This stylish property is a stone's throw from Sloane Street and Sloane Square and is perfect for anyone on a budget wanting to explore central London. The studio apartments are a great option for families. Word of advice, if you want to stay here, book well in advance! The Connaught Hotel is the discreet and understated ‘grande dame’ of Mayfair, the epitome of old world Britishness, but updated to meet the needs of modern life and design. The service is incredible - there’s a veritable fleet of butlers - and you can enjoy the intimate in traditional comforts as well as a chic restaurant and bars and a world class Aman Spa. 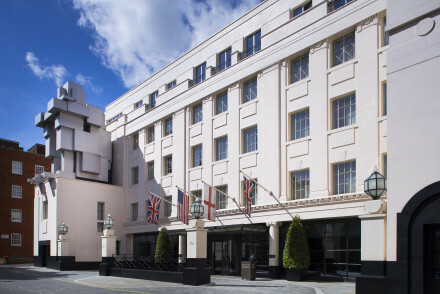 On a quiet side street between Bond Street and Selfridges, The Beaumont is a luxurious, Art Deco era hotel with fantastic heritage detailing and a great restaurant well known by London’s A-List. They also have a spa with a hammam, which you might need after your day shopping, and before your meal or trip to the theatre. 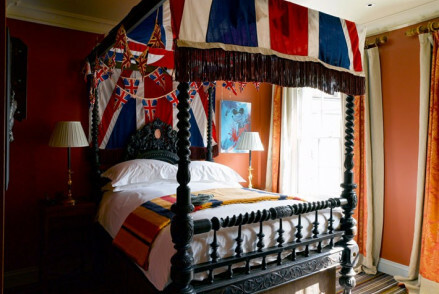 Blakes is the grandaddy of all boutique hotels, a wonderfully theatrical creation wth 45 individually decorated decadent, themed rooms crammed full of wonderful antiques, interesting artwork and beautiful fabrics. Plus, of course, the restaurant is excellent and you’re peacefully, but well located, on the edge of Chelsea. 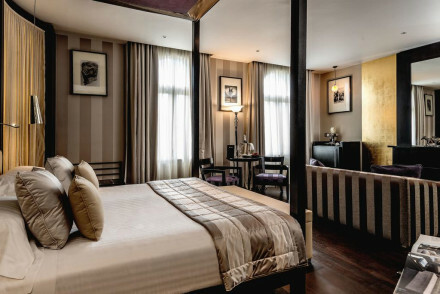 The big, comfortably masculine Baglioni overlooking Hyde Park is mostly made up of suites and there is a highly attentive butler service, so it’s definitely one of the best hotels in Kensington for lovers of luxury. Choose a view over Hyde Park or Kensington Gardens. 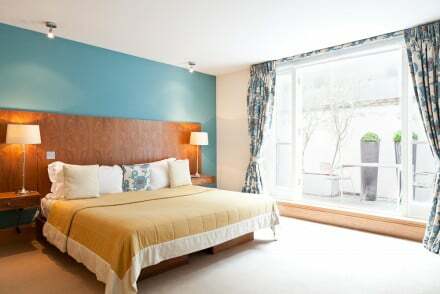 No 11 Cadogan Gardens is a hidden gem in a fabulous spot, just behind Sloane Square. 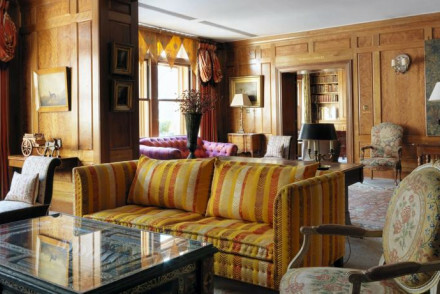 The interiors are tasteful, if eclectic - Murano chandeliers, wood panelling and thick sumptuous fabrics. Small intimate public spaces - a library and drawing room - give the place a clubby feel, but not in a stuffy way. Perfect for a spot of retail therapy at the big names down the road! 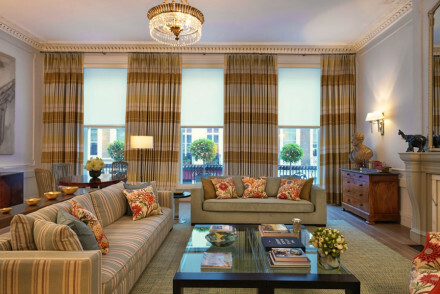 Hotelier and designer Kit Kemp's 44 room Knightsbridge Hotel is cosy and modern. 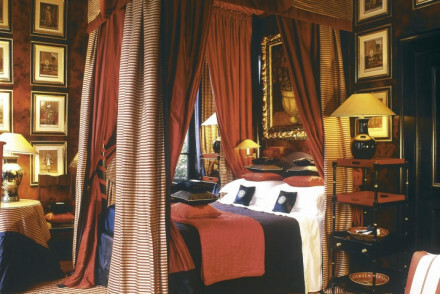 Bedrooms are decorated with rich fabrics and comfortably thick canopy beds. There’s no restaurant but there’s no shortage of them in the area; and the guests' library is a soothing places to sit and recharge your batteries before going out for dinner. 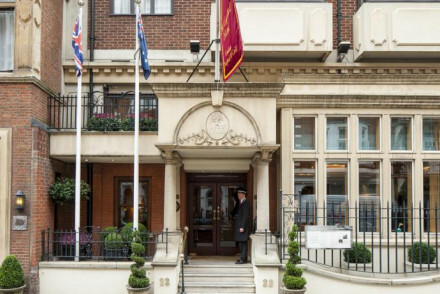 Belgraves hotel is owned by the American Thomson Group, and this is one of the best hotels in Knightsbridge if you’re looking for a quietly hip Manhattan vibe. It doesn't feel like an 85 room hotel when you are in the popular restaurant or the cleverly designed library bar which perfectly blends traditional touches with a modern layout. Designed by Philippe Starck, St. Martins Lane is a design classic, perfectly positioned for seeing London - you’re between Covent Garden and Leicester Square. Fashion types and rock stars love it, and it’s famous for its light effects, buzzy bar, nightclub and restaurant. Hazlitt’s has been a hotel since the 18th century, and was a popular spot for artists and writers. You’re on Frith Street in Soho, so surrounded by cafes, bars and restaurants and the 27 rooms are elegant and wood panelled. Unique and boutique. 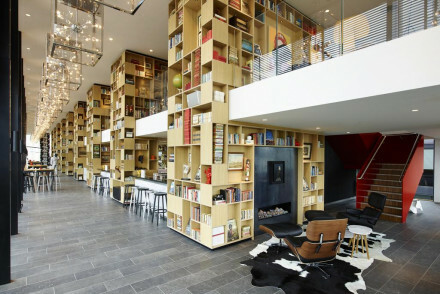 CitizenM Bankside is a trendy spot with colourful, artsy interiors and tablets in each room for mood control. 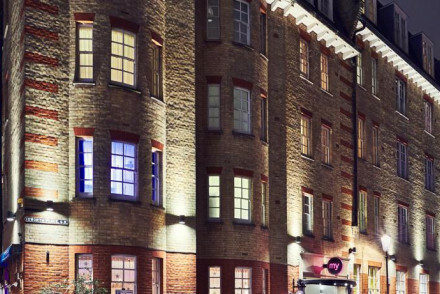 This super-cool stay is also just a stone's throw away from the Tate - ideal for culture-vultures! Set in a former bank, The Ned is a supremely stylish stay with glorious rooms and a number of fantastic eateries. A stunner! 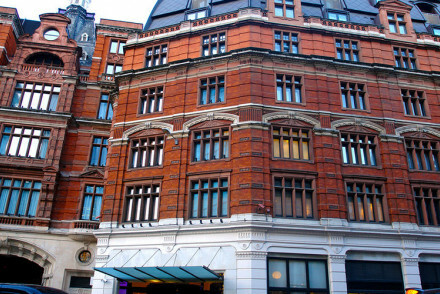 Andaz Liverpool Street, located right above the train station, is ideal for those staying for just a night. Boasts smart rooms, a lovely brasserie and a champagne bar. South Place Hotel is a wonderfully trendy stay with cutting-edge design, smart rooms, a Michelin-star restaurant and a spa. 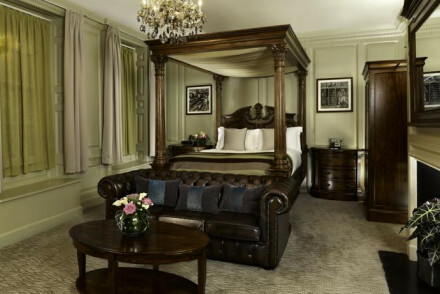 The Montcalm at the Brewery boasts traditionally elegant rooms - think four-posters and antique furnishings - as well as lovely dining in the restaurant. A top spot. Batty Langley's maybe a relative newcomer to the scene, but it has become a go-to property for a romantic escape. Just twenty nine gorgeous rooms and suites ensure an intimate atmosphere. There's an honesty bar, and 24 hour room service for those who can't bear to leave their luxury cocoon. The Corinthia Hotel is a beautifully restored grand London hotel with an elegant amount of glamour and sensational service. The original features of the building, built in the 1880s, are magnificent and the modern luxuries, like the marble bathrooms complete with built in televisions at the end of each bath, don’t detract at all from its elegance. Plus there’s a wonderful choice of bars and restaurants to match. It’s a real treat. The Ritz is all glitz and glamour, from the dapper doorman to the wonderful neoclassical details and the incredible Art Deco Tivoli bar. 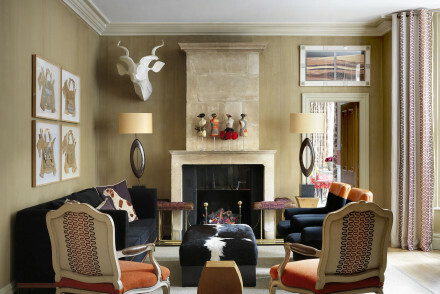 The decor is luxurious in the classical sense of the word, Louis XVI style with a touch of the Belle Époque about it. It’s world famous for a reason. 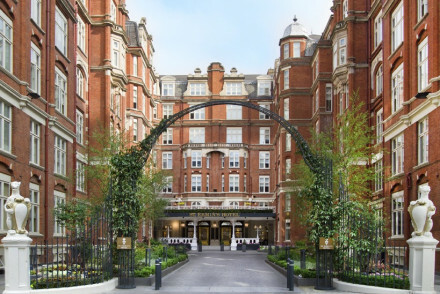 St. James’s Hotel & Club in Mayfair is a fantastic West End hideaway with 60 rooms, including a couple of really fantastic rooftop suites, and a high end restaurant. If there’s nothing there for you consult our Guru’s recommendations for the Most Romantic Hotels in London. 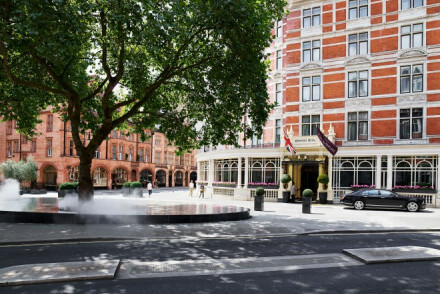 Just above Shaftesbury Avenue and around the corner from The British Museum, The Bloomsbury is a grand hotel which tastefully blends its traditions with contemporary style. There are 150+ rooms plus a glamorous bar. You’re close to the shops, the museums and galleries and the theatres. 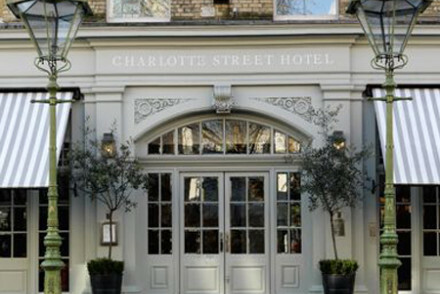 The Charlotte Street Hotel is a fashionable media hangout with stylish interiors, buzzy public areas and its own private cinema. It’s hip and happening and just above Oxford Street and Soho in the West End. 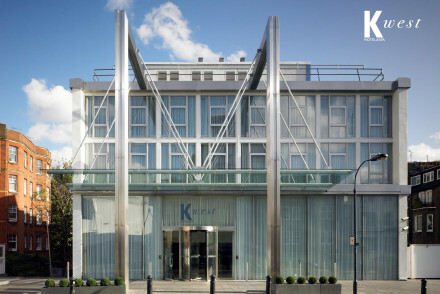 The Nadler Kensington is a collection of grand townhouses converted into streamlined, designer standard accommodation. There are 65 rooms - all lit with big windows and high ceilings, and the family apartments have generous kitchenettes. A great spot close to Hyde Park and the tube. 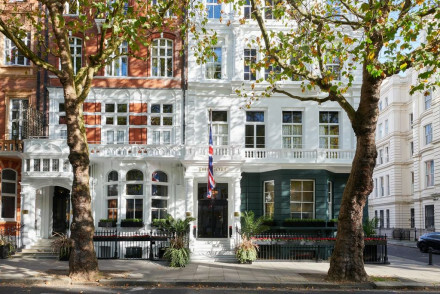 It seems grand but No.11 Cadogan Gardens, the eclectically styled, lavishly decorated offering just behind Sloane Square, actually has some very nice family suites. Perfect if you or your children appreciate a Murano chandelier! 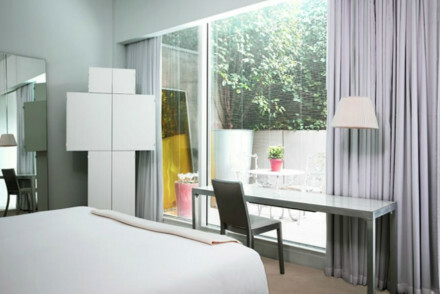 B+B Belgravia and Studios@82 is understated, contemporary and elegant. You’re close to the centre of town, in stylish Belgravia, but this kind of address means the rooms are small - but neat and cleverly compact. 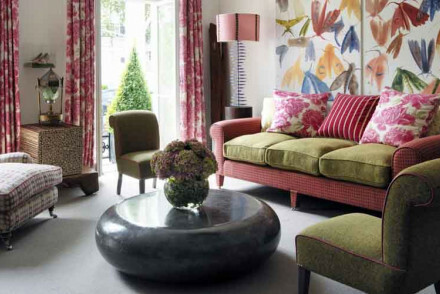 Boundary Rooms is the creation of style and design guru, Terrance Conran. It’s part restaurant, part bakery, part retro bar and part one of London’s best B&Bs. Each individually styled room is based around the work of a well known designer. Tres chic. 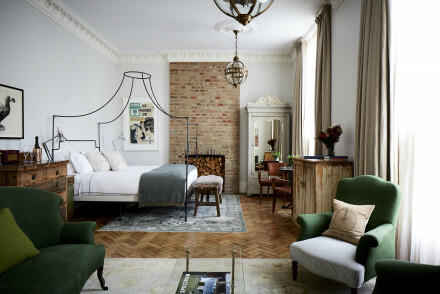 The Zetter Townhouse makes the list for the best London B&Bs for its wonderfully haphazard collection of boutique rooms where wonderful antiques meet vintage treasures. There are just 13 rooms and a small bar, and the whole thing is designed as if by an eclectic aunt, who has incredible taste. If these don’t take your fancy check our our Guru’s complete list of Great London B&Bs. If you’d prefer to stay in an apartment or private flat we recommend you visit our online partner, Booking.com. Heathrow is the UK’s main International Airport and the second busiest in the world. It’s 23kms out from the centre of town, a tube, bus, train or cab journey away. Gatwick, the UK’s second largest airport is a bit further out of town - 47kms, and best reached by train, London Stansted is 48kms out of town, and best accessed using the Stansted Express. London City Airport is closest to the physical centre, with planes flying all the way into the Royal Docks close to Canary Wharf. If you want to hire a car during your stay in London or the UK we recommend you visit our online partner, Rentalcars. London isn’t visited for its weather, so choosing the best time to visit for you is going to be more based on why you’re visiting. Summer is great but busy. Autumn is still very nice and not too rainy - spring is usually rainier. Christmas is lovely when all the lights are up and decorations in the windows. Still not sure which is the best place to stay in London for you? A budget stay just a stone's throw from the Tower of London. CitizenM's trademark offering includes rooms with stunning city views, 24 hour food, and funky interiors that are just perfect for hanging out! A good choice for both business and leisure travellers. 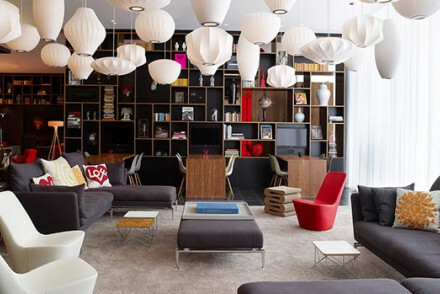 Value chic - With CitizenM's trademark chic interiors at great prices, it's a brilliant London stay for those on a budget. Opulent, sumptuous and quirky converted 18th century townhouse in the trendy Spitalfields district. Gorgeous over-the-top rooms and suites offer stunning traditional interiors and equally impressive bathrooms. 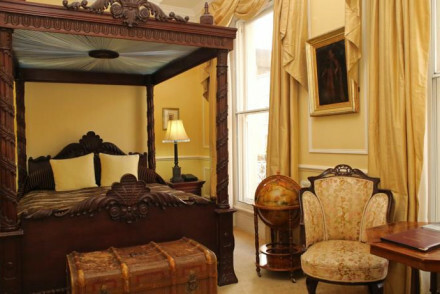 A romantic bolthole in the city of London perfect for a cosy getaway! Sights nearby - The property is minutes from Liverpool St so there's easy access to all of London's highlights. This charming Georgian boutique is full of character and literary associations since 1718. This townhouse is in thick of it on vibrant Frith Street, home to lively bars and popular restaurants. Elegant wood paneled rooms are the perfect base, relax with a book or explore town as and when you wish. Fashionable Clerkenwell is home to this intimate, period charm City bolthole which prides itself on homely atmosphere across three 18th Century houses. Rooms are full of character, classic antiques, open fires and roll top baths. Breakfast in bed or in the garden is the perfect way to start the day. Sights nearby - Barbican is a cultural hub worth checking out for performances, screenings and more. 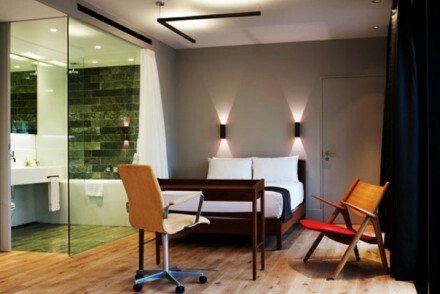 One of a new breed of hip 'off centre' boutique-style hotels. With Japanese contemporary design, decent size rooms, private balconies, terrace garden and great prices. Momo Japanese Restaurant is well worth checking out for its authentic cuisine and warm atmosphere. Value chic - Stylish interiors, secluded balconies, personal service, trendy bar and delicious food- all for a totally reasonable price! Great walks - Ealing Common is a hub of activity in the summer, and all year round is home to walkers, joggers and roller bladers. Local markets - Ealing Broadway has a wonderful weekly market that's well worth checking out. Country house feel by the river in leafy Richmond village. Superb restaurant, traditional bedrooms, fine views and a sit out terrace. Good wedding and business venue. Historic north London mansion, which is now a hotel. Ideally located if you're planning a trip to Wembley, or a good value city break without needing to be in the heart of the action. Set above a traditional Victorian Inn - a gastro pub located in Peckham, for a different kind of stay. Great pub food, a lively and popular bar and simple, stylish bedrooms. Located in this vibrant borough, there are many trendy bars, restaurants and clubs nearby. 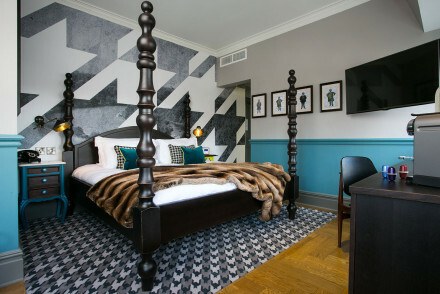 Brand-new bedrooms set in a fashionable pub just 10 minutes from central London via tube. 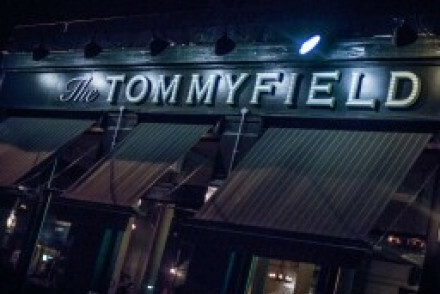 Excellent pub menu, recently opened accommodation and evening entertainment including stand-up comedy make this an enticing property for those seeking London chic without a huge price tag. Quirky - Live comedy on Thursdays. 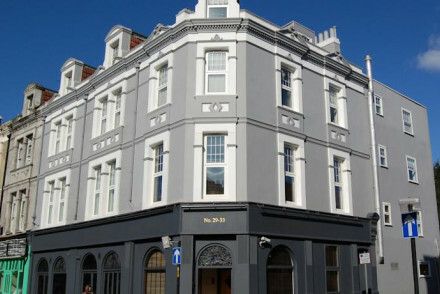 A pub-like façade and interior, with boutique rooms upstairs, a cool cocktail bar downstairs and a handy west London location. Friendly service and excellent pub food complete the picture. A good value option with easy access to all London has to offer. An old Victorian Tavern, dating back to the 1840s, now neatly restored as a bespoke guest house just minutes from Tulse Hill station. Bedrooms are large and comfortable with simple interiors. A cosy restaurant and bar has a large selection of beers and organic wines. Great value. Chic tranquility meets a West London colonial-style townhouse. Good value. Fantastically well connected by tube, train and bus. A wide range of different rooms and a breakfast worth getting out of bed for. Local markets - Food markets are taking off in the city, so be sure to explore the local ones on the weekends. Cool modern hotel just a credit card’s throw from Westfield shopping centre. 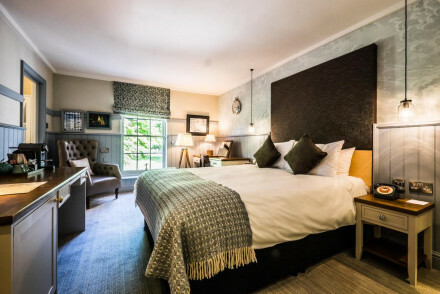 Spacious rooms in classy muted tones, a compact subterranean spa, and recently refurbished public rooms, including a buzzing bar and lounge, make it perfect for out-of-town shoppers and those craving an urban spa break. Spa - Subterranean spa with wide range of therapies and pampering on offer. The hotel also has its own Nail Bar. Charming Victorian townhouse turned luxury boutique, in the heart of Notting Hill. 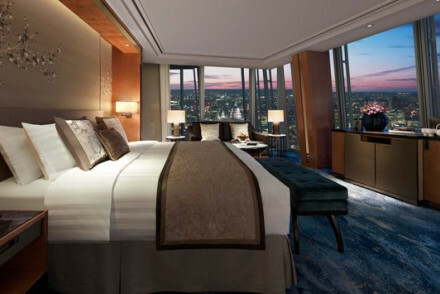 Stylish rooms with floor to ceiling windows, Oriental influence and access to a rooftop terrace. Fantastic value for money in a desirable part of town, just minutes from the famed Portobello Road Market. Value chic - Fantastic location, luxurious Egyptian cotton sheets and a rooftop terrace overlooking the London skyline- a steal! Local exploring - Perfectly placed for exploring London’s cosmopolitan Notting Hill neighbourhood, on foot or by bicycle. Local markets - Notting Hill is home to many boutique shops. Head to Portabello Road on the weekend for a trinkets market. Great walks - Just north of Hyde Park, where you can walk around the Serpantine Lake or along the miles of pathways. 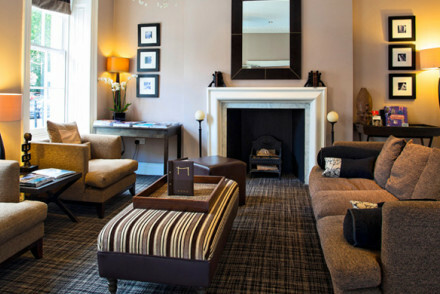 Modelled on old-fashioned coaching inns, this hotel offers a relaxed, homely service. 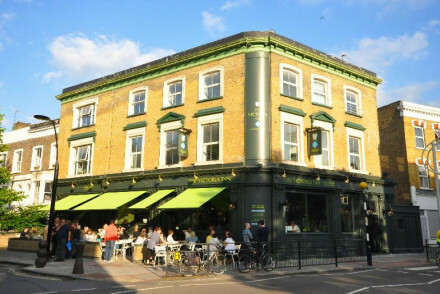 Located in Clapham Common, close to two tube stops, it is well situated for a London getaway. The nearby pub, The Windmill on the Common, is traditional, warmly welcoming and perfect for a cheery meal or drink. 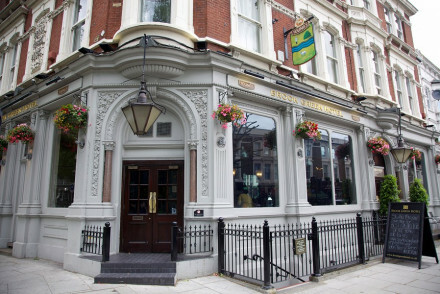 A Victorian pub/hotel set within a quiet London district in striking distance of south, west and central London. Clean and well appointed rooms lend themselves to a comfortable stay. The bar and restaurant serve up traditional and hearty food and drinks, all for a reasonable price. 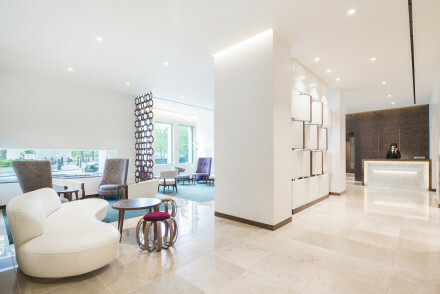 An excellent five-star hotel in the heart of London City district. 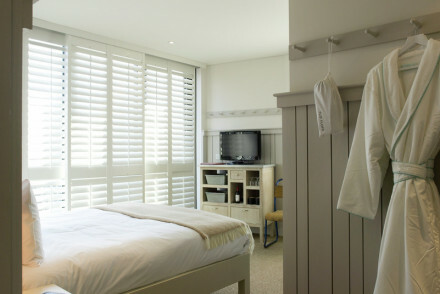 The rooms are modern and chic with stylish furnishings and simple colour schemes. Culinary options are covered by a fine dining restaurant and a more relaxed gastropub. The perfect location for people in the City on business. Foodies - Foodies will love the range here, from local seasonal produce, to gastro pub with cask ales and afternoon tea in the lounge! Romantic Break - An ideal bolthole for a romantic weekend in London, luxorious rooms offering marble bathrooms and chic dining. Local markets - Anyone with an interest in food must check out the nearby Borough food market- a bustling spot brimming with choice. Sights nearby - Trafalgar Square, Big Ben and Houses of Parliament all within two miles. 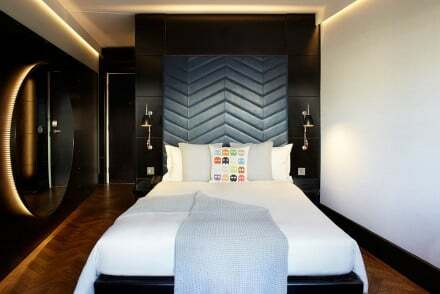 A super trendy hotel with cutting edge design in East London. Michelin star restaurant on the roof top, lively bar, gym and spa, and uber chic rooms and suites with all the mod cons. A great choice for a taste of London's more quirky side. Foodies - Roof top Michelin star restaurant. Roof terrace - Trendy roof top bar with views. An understated and elegant B&B, in central Belgravia. The contemporary design, self service facilities and unbeatable location combine to make this an ideal spot in the heart of the city. Numerous restaurants and bars on your doorstep, complete the picture. Families - These contemporary, well located studios are ideal for families with self catering facilities and plenty of space. Local exploring - Grab one of the B&B's free bikes and head out to explore Westminster the heart of historical and vibrant London. Sights nearby - Use the River Thames as your guide and head east to catch a glimpse of Big Ben, London Eye and other sights. Great walks - Whether Hyde or Battersea, be sure to take a stroll around the royal parks of London. Soho House's Chiswick outpost brings the contemporary-chic of their other properties to this leafy residential area in West London. Crisp white and wood make up the guest rooms, add a splash of vibrant colour, a buzzy bar and restaurant and you have the perfect stay. City Style - Oozing city style with a private members club, effortlessly chic interiors, lively bar and a wonderful location. Local markets - Chiswick is its own town within the city of London and there is a market on the common every weekend. Great walks - Enjoy a stroll along south-side of the Thames Embankment for some of London's most notable views. Designer - Ilse Crawford was the original designer. The Royal Borough of Kensington and Chelsea's famously grand townhouses are converted into streamlined, designer accommodation. Light rooms with high ceilings, bay windows and ktichenettes are a good choice for longer stays. Proximity to the tube network makes it prime location. Value chic - Self catering facilities can cut your costs in half, with no compromise on style or location. Local exploring - Proximity to centre of town and main attractions makes this a great stay for local exploring. Great walks - Hyde Park is a large space in the heart of the city and offers miles of walkways and trails for cyclists. Local markets - The Acklam Village Market is open every Saturday and Sunday, come rain or shine. 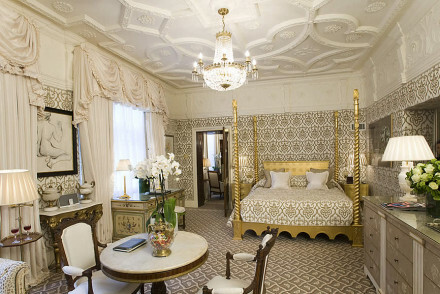 A splendid five-star B&B, in the upmarket district of Belgravia, in central London. 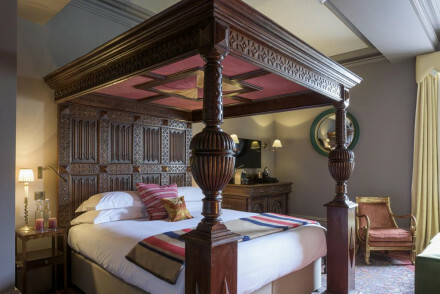 The rooms exude old world class and style, with beautiful four poster beds and bespoke furniture. With all of London's central attractions within easy reach, it's perfect for a romantic weekend in London. 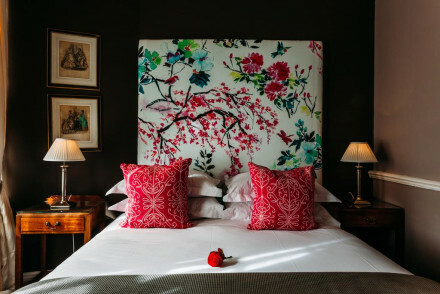 Romantic Break - The individually decorated rooms brim with romance and charm, and there is plenty to be seen and done in ultra-smart Belgravia. Sights nearby - Just a ten minute walk from Buckingham Palace and a twenty minute to Westminster Abbey. 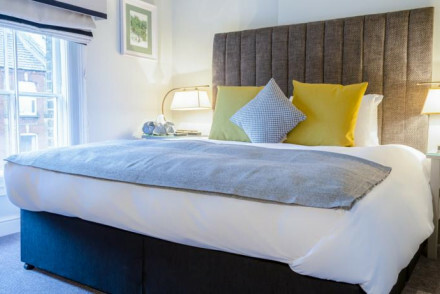 Technology-focused, stylish and good-value hotel which is under ten minutes’ walk from the travel hub of Victoria and also has access to leafy Eccleston Square. Sights nearby - Located close to Westminster Abbey and Buckingham Palace. 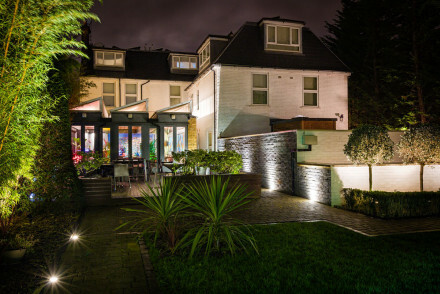 Located in the heart of Wimbledon Village, this stylish pub offers 17 newly renovated rooms. Friendly staff and luxurious beds promote a relaxed atmosphere, emphasising the peaceful area of London in which it is located. All rooms are en suite. The restaurant offers a delicious food range. Private club meets charming boutique in the heart of Mayfair. 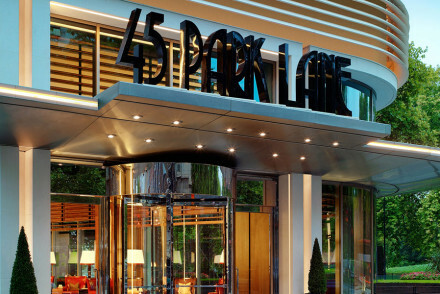 A stones throw from the Westend and the designer shops of Knighsbridge. Comfortable and classic rooms are perfect for lone rangers, business trips or couples wanting a romantic getaway. Cosy and laid back vibes. Hideaway - This members club hotel has distinctly bolthole feel, perfect for those who like to keep to themselves. Value chic - If you love it, join the club- with fantastic rates offered for members. Great walks - Head to Green Park, St James' Park and then you shall find Buckingham Palace on The Mall. Local markets - Head to Berwick Street for a quick bite, home to food stalls throughout the week. A little gem of a Georgian townhouse with just the right mix of comfort, style, relaxation and price. 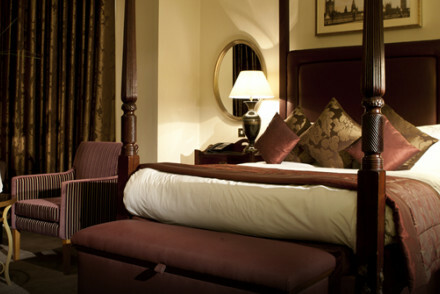 Spacious rooms with Hypnos beds and Molton Brown toiletries. Walking distance to Madame Tussauds, Regents Park & Oxford Street. Ideal for a stylish city break. Sights nearby - Easy access to all of London's major attractions. Walking distance from Madame Tussauds, Regents Park & Oxford St.
Sights nearby - Saatchi Gallery just off Sloane Sqaure is a fantastic art gallery and worth a visit. Great walks - Enjoy the Royal parks such as Hyde Park and Battersea Park. Sights nearby - Great location for the Royal Albert Hall and Hyde Park. Legendary, laid-back chic boutique in Neo-Classical mansions loved by an eclectic clientele of business travelers, fashionistas and musicians. Varied, funky styles are adopted for the rooms and with delicious breakfast. 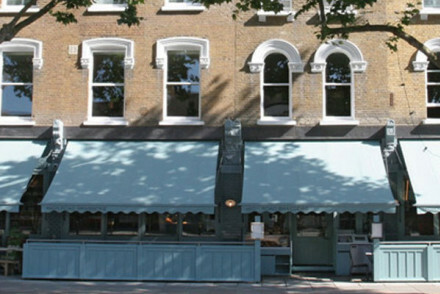 Location in the heart of Notting Hill, for boutiques and food, is perfect. Sights nearby - Madame Tussauds and the amazing wax works is a memorable day for all the family. Local markets - Come Saturday be sure not to miss Portobello Road Market. 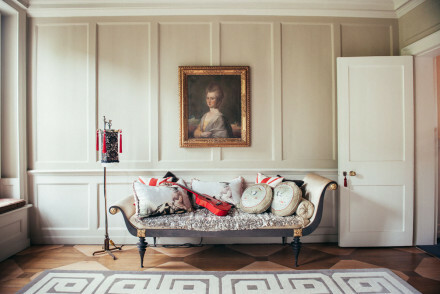 Elegant Georgian townhouse in London's vibrant Soho district. Stylish rooms are designed with panache, and focus on the young and fashionable business and leisure traveler. All British food all day at the snazzy restaurant. A true gem in the heart of the UK's capital city. City Style - Grown up and sophisticated style, in a hip part of town- think mahogany fourposters, clawfooted tubs and Farrow & Ball Duck Egg. Foodies - Mouthwatering modern British cuisine, always interesting, varied and au point. Afternoon tea is a London favourite. Great walks - Head south towards Trafalgar Square and to Enbankment where you will find the Thames - the perfect guide to mapping out London. Sights nearby - Picadilly Circus is closeby and a great place to check out what is on at the theatres in the West End. Chic, Marylebone interior-designed hotel, close to the shopping meccas and in a charming part of town, with a good cocktail bar. Designer Shopping - Selfridges and Bond Street round the corner. Stylish townhouse luxury - The Laslett has 51 boutique bedrooms, individually designed and decorated with artwork and British antiques. This chic London spot has a coffee shop, library and restaurant and is on the doorstep of Hyde Park. 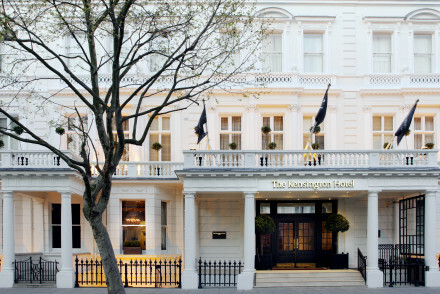 An elegant hotel in cool Notting Hill. 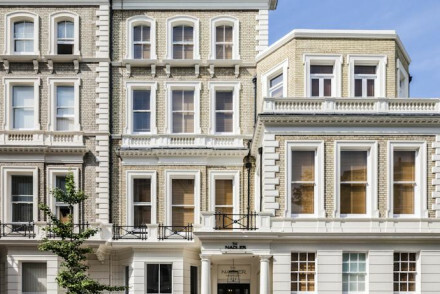 A stunning luxury townhouse hotel in the heart of South Kensington. Individually designed rooms and suites are filled with beautiful objets and the decor is country house chic. Relax in the drawing room or library, and enjoy authentic Italian cuisine in La Trattoria. Simply superb! 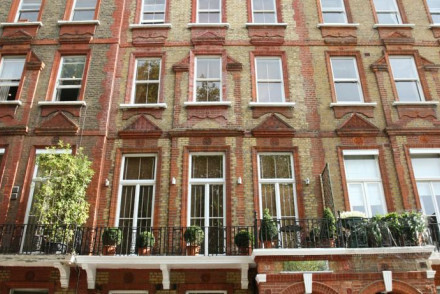 Local exploring - With its prime South Kensington location, The Pelham is ideal for exploring London's sights. Value chic - With rooms starting from only £230 per night, this is 5* luxury without the price tag. 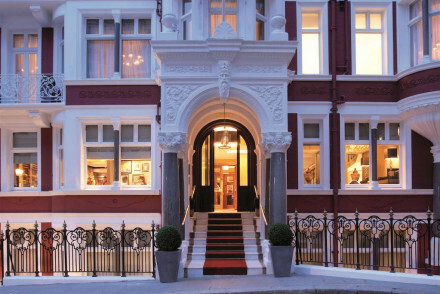 An impressive, elegant hotel in the heart of South Kensington. Rooms are individually designed, and themed bold wallpapers reflect the museums which are close by. In-house restaurant Apero offer fresh Mediterranean cuisine and The Drawing Rooms serve wonderful traditional afternoon tea. As if the neighbourhood weren't star studded enough, this property has a host of famous names attributing their skills to it. Gordon Ramsey looks after the traditional British menu, John Nash the genius behind the striking architecture and Russell Sage the opulent, antique clad designer interiors. Sights nearby - The Sherlock Holmes Museum and Madame Tussauds are just across the park on Baker Street. Great walks - Wander over to Maida Vale along Regent's Canal. A lesson in classic luxury. Inside this landmark, Gothic masterpiece are palatial suites with modern accents, fine dining restaurants a 24 hour gym and sumptuous spa. As if this property weren't perfection enough it is steps from King's Cross St Pancras, connecting you to London, England and Europe. Local exploring - Adjoining St Pancras International you couldn't be better connected to the rest of London, the UK and even Paris. 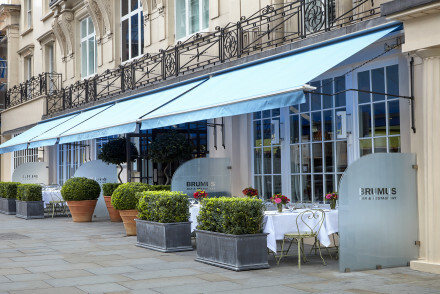 Foodies - Chef Marcus Wareing's well renowned The Gilbert Scott Brasserie and Bar is the best of British. City Style - The ultimate in old school city chic. Great walks - Regent's Park is bliss on a crisp winter morn or sunny summer's day. 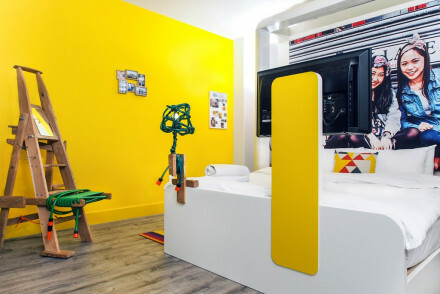 Intimate boutique townhouse offshoot of the modernist Zetter, with quirky and eclectic vintage decor and just 13 rooms. The newest addition to Zetter's growing collection, whose ethos is great cocktails, delicious food and a super-comfy bed! In the Marylebone outpost you'll find individually designed bedrooms with an eclectic mix of antique furniture and curios, huge beds, luxurious drapes and deluxe bathrooms. 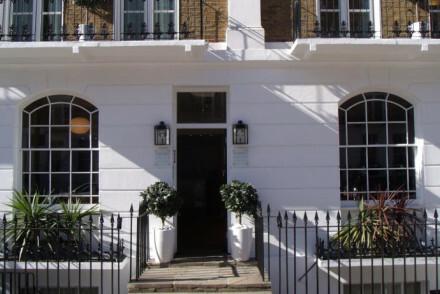 Privately owned, small boutique hotel in a quiet part of Knightsbridge. Elegant and spacious rooms and suites are the height of luxury. Complimentary breakfasts and afternoon tea. Well located in an upmarket area of London. Ideal for a short break in the capital. Romantic Break - An elegant, exclusive and utterly romantic hotel boasting Egyptian Cotton sheets, fresh flowers and welcome chocolates. 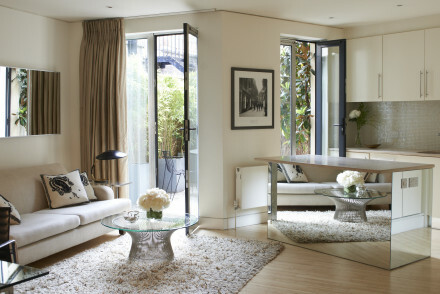 City Style - A chic townhouse turned luxury boutique, on a leafy cu-de-sac in the heart of Knightsbridge. Great walks - Just a ten minute stroll from Hyde Park, an oasis of green in the city centre. Sights nearby - Close to the the South Ken Museums and Galleries and the Albert Hall. 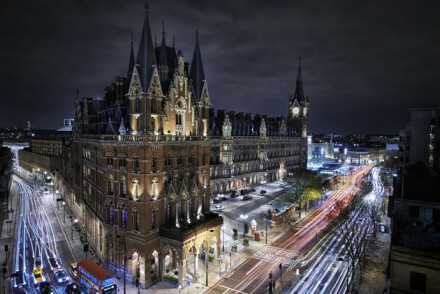 Beautifully restored Victorian railway hotel turned boutique bolthole in the very heart of King’s Cross/St Pancras & Eurostar. Thoughtful and luxurious design and a theatrical restaurant headed by Michelin-star winner Mark Sargeant and a glamorous ground floor cocktail bar. Spa - In-room treatments are available. 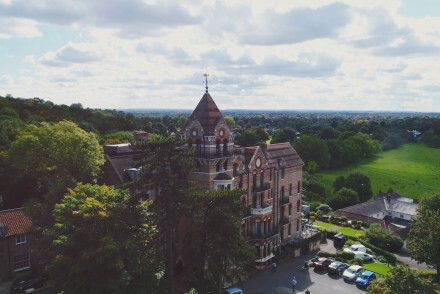 Large mini-grand hotel, walking distance from London’s top sights; ideal for sightseeing, business and families. Regency property from the outside; full of fun, character and modern art inside. Individually decorated rooms and bathrooms are of a good size. Popular restaurant ‘Cambridge Street Kitchen’ and just a short walk from Victoria. A design lover’s dream! Great walks - Through nearby Hyde Park, London's largest park, where one can go horse riding, boating, cycling and picnicing. Sights nearby - The London Eye, The Tower of London, Buckingham Palace and St Paul's Cathedral are all within easy reach. 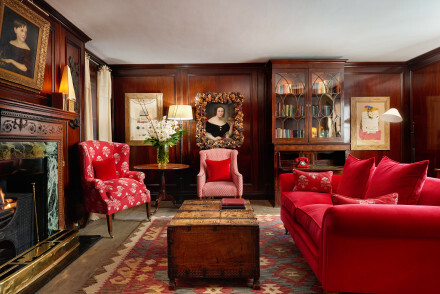 Flamboyant, Italian-family-owned London guesthouse close to Chelsea hotspots. 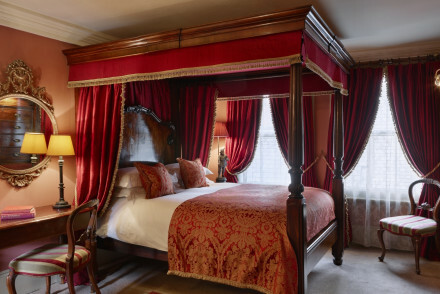 Over the top rooms and suites feature four poster canopied beds, panelled walls and velvet galore. Book one with a terrace for your own room with a view. Perfect for an indulgent city break in the heart of London. Sights nearby - South Kensington's Museums are close by. Minutes from Sloane Square. 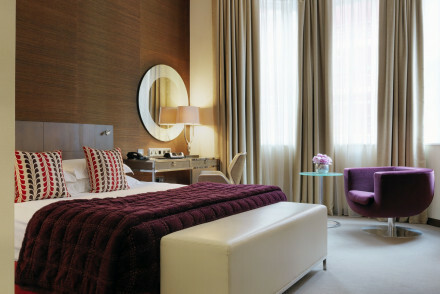 Chic hotel in the heart of Marylebone Village, ideally located for shopping, sightseeing and nightlife. 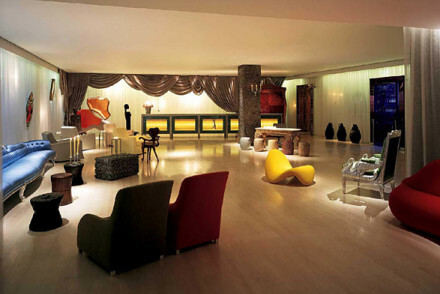 Funky public spaces and contemporary classic style rooms and suites. Chill out in the 108 Brasserie and work it off in the hip Third Space health club. A cool option in the centre of town. 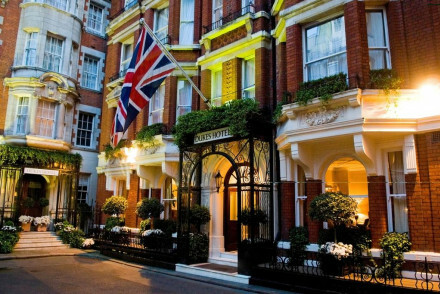 A grand hotel in central London that perfectly mixes British traditions with contemporary style. Smart rooms are cleanly designed with contemporary furniture, soft patterns and uber luxury bathrooms. An atmospheric bar harks back to a more glamorous era. Well positioned for city exploration. Local exploring - Well located in the centre of London with easy access to theatres, shopping, culture and great transport links. Spa - The COMO Shambhala Urban Escape offers a wide range of holistic treatments - a serene sanctuary from the frenetic city outside! Bar - Trendy Met Bar is the place to go for the fashion, media and music crowd. Come for the live DJ sets and fabulous cocktails! European glitz behind an unassuming facade, predominantly suites, well positioned across from Hyde Park. Featuring an exemplary Italian restaurant and offering warm and efficient service. 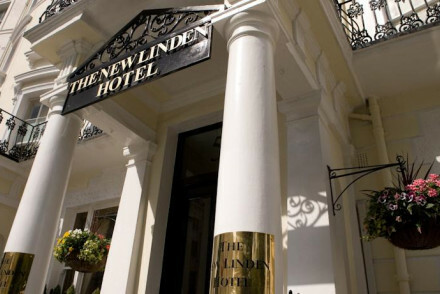 Local exploring - An elegant hotel located in the heart of London right besides Hyde Park. Sights nearby - Just minutes from Kensington Palace. Great walks - Take long walks through Hyde Park. 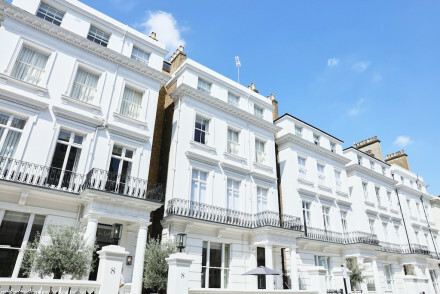 Quiet, homey but super-chic townhouse hotel in a great residential location in South Kensington - no restaurant but a charming courtyard garden. 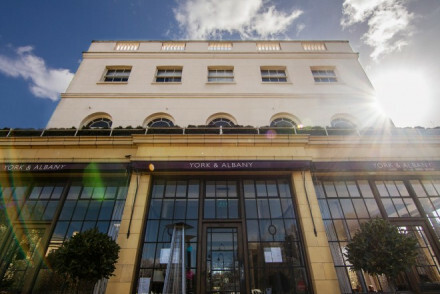 Luxurious hotel that was originally conceived as one of the great Victorian railway properties. It now boasts large opulent stylishly classic bedrooms and suites, plus a stunning eight storey atrium housing the Winter Garden restaurant. 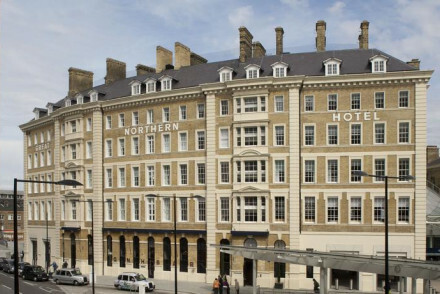 Well designed and up to the minute business hotel in the heart of the City, a railway hotel conversion oozing style. Sights nearby - Within easy walking distance of St Paul's Cathedral, the Tower of London and Tower Bridge. 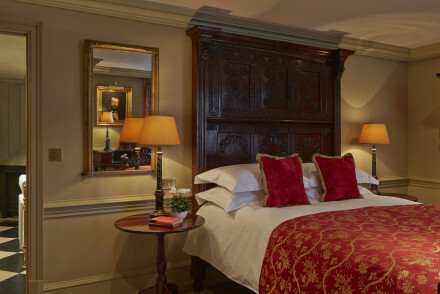 Cosy, traditional hotel across from Kensington Gardens, with vibrant colour schemes and four poster beds - a chintzy haven with views of Kensington Palace. 24 Hour room service - Round the clock butler service. Views - Great views of Kensington Palace and Gardens. Buzzy, Starck designed Ian Schrager design classic, well positioned for Covent Garden boutiques and West End shows. Famous for its light effects, and popular with models. 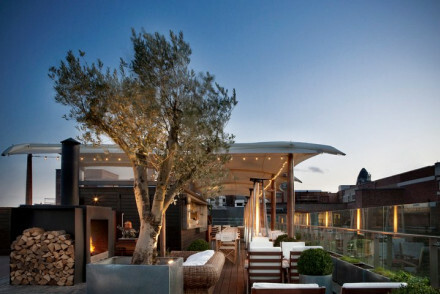 Super luxurious Mayfair hideaway with a couple of magnificent rooftop suites and a Michelin-starred restaurant. 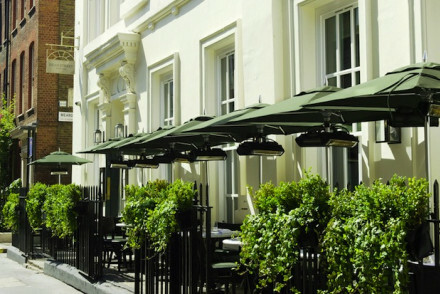 Just a few minutes’ walk from Piccadilly and Jermyn Street where quintessentially British shops include Fortnum & Mason. Foodies - Dine at the hotel's fantastic Michelin-starred restaurant. 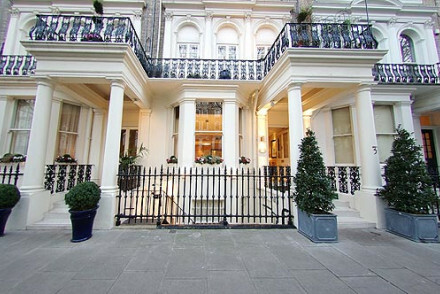 City Style - The property offers quintessential Mayfair elegance. Great walks - Take a stroll through the leafy St James's Park. Sights nearby - Buckingham Palace is a short walk away. An ideal base from which to explore London and the perfect shopaholics hotel. Eclectic contemporary design across three typically London townhouses, with friendly helpful staff. City Style - Quintessential British country style in the heart of one of London's smartest area. Great walks - Wander through the expansive Hyde Park. 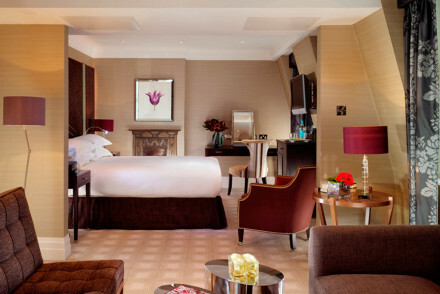 Exclusive hotel in the heart of Knightsbridge, perfect for romantic breaks and shopping sprees. Large, comfortable rooms with stylish interiors and an inexplicably homely feel. The Knightsbridge Metro serves yummy British food and wines from Levin's own Vineyards. City Style - Magnificant interiors, bold fabrics, sharp lines and colourful installations, just around the corner from London's top shopping. Romantic Break - Champagne and flowers are only the start of a truly romantic occassion with the Levin Hotel. 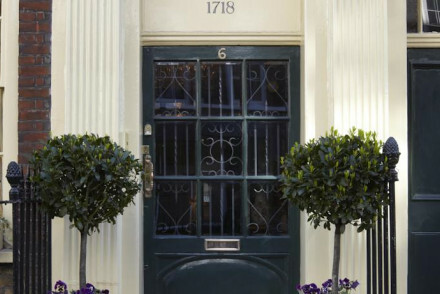 Located just behind Sloane Square, 11 Cadogan Gardens is a hidden gem. Eclectic style with lavish decor and comfortable rooms including a charming library, drawing room and terrace. Peaceful and calm, yet incredibly well placed for exploring London. Sights nearby - Within walking distance of Buckingham Palace and the Houses of Parliament. Iconic hotel whose signature is traditional British luxury and service that’s out of this world. Ritzy-yet-comfortable rooms, Italian marble bathrooms and opulent central lounge that’s a riot of gilt, fabric, statues and chandeliers. The place to go to be treated like royalty. A chic hotel in a perfectly central location, with effortless contemporary styling, a buzzy restaurant scene and a glitzy indoor pool. 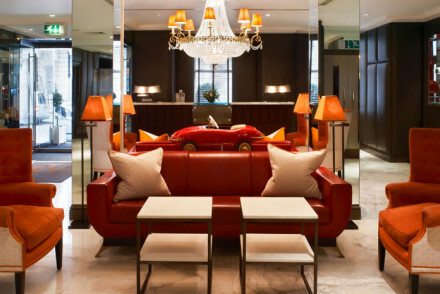 City Style - A chic boldly styled hotel in the heart of central London. Great walks - Take a stroll through St James or Green Park. 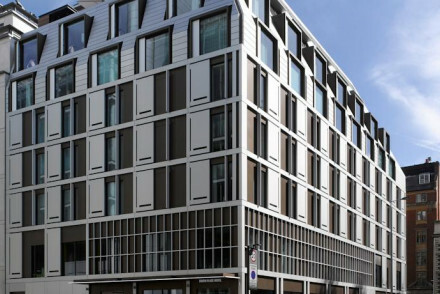 Ian Schrager's second design hotel in London, in a former textiles building in the rag trade area north of Oxford Street. Great spa and gym, and a fashionable bar. The perfect base for those wanting to be in the heart of the West End. Classic on the outside, but wonderfully contemporary on the inside. Spacious rooms and suites, buzzy lobby bar, superb dining in the Axis restaurant and a luxury spa for relaxing after a hard day's sightseeing! The grandaddy of boutique hotels, theatrical creation of actress Anouska Hempel, decadent and moody institution on the edge of Chelsea. Individually themed rooms crammed full of oriental and Indian antiques, plus an excellent restaurant. 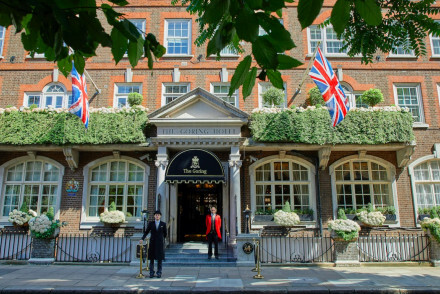 A family-owned luxury hotel in the heart of Belgravia with manicured lawns, award-winning high tea and proximity to some of London's most famous sights. Plush carpets, antiques and designer fabrics make up the rooms. Do not miss fine dining at the Michelin star restaurant. Magical stay. Sights nearby - Great for Buckingham Palace, Westminster, Mayfair, Knightsbridge, Sloane Street and the Royal Parks. Great walks - Green Park in the summer is a sea of green with deck chairs for people to lounge in and relax. Traditional - The property has a quintessentially English feel. 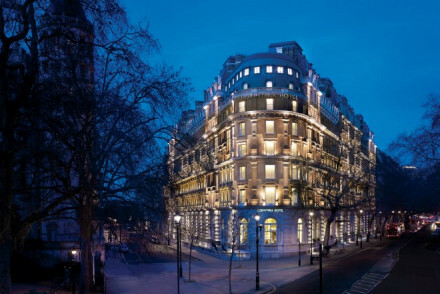 Historic central London luxury hotel that offers a contemporary edge to its opulent Victorian décor. Classicly styled, spacious and comfortable rooms and suites, dining overseen by the Roux dynasty plus spa and pool. An upscale escape aimed at those in search of high-class pampering. 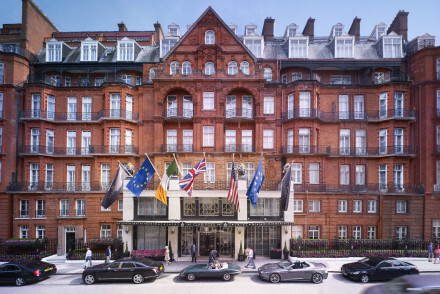 Local exploring - The Langham is the ideal base whether you want to shop, sightsee or enjoy London's buzzing nightlife. Sights nearby - Within two miles of Trafalgar Square, Buckingham Palace and Big Ben. Glitz and glamour from the dapper doormen to the lavish hallways and Neoclassical features. Large beds and luxurious features make up the classically decorated rooms. The Rivoli Bar is an Art Deco lovers dream, whereas the restaurants house fine art works and British cuisine. Don't miss High Tea. Romantic Break - From your first Martini at the Art Deco Rivoli, to the final dance in the ballroom this is sure to be a weekend to remember. City Style - Louis XVI-style interiors in the heart of London with Belle Époque furnishings and opulent silk upholstered headboards. 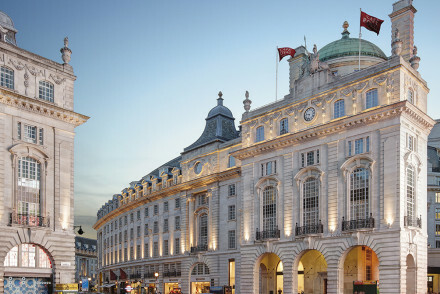 Sights nearby - Just minutes from the famed Picadilly Circus and the shows of the Westend. There's a clubby feel to this top floor 'eyrie' with views over Buckingham Palace. Opulent rooms in monochrome tones are laced with all the most up to date high tech mod cons and every indulgence you can think of. Eat around the clock and make the most of the honesty bar. A real treat of a hotel. City Style - An exclusive hotel mixing tradition with high tech mod cons and unbeatable service, right in heart of London. 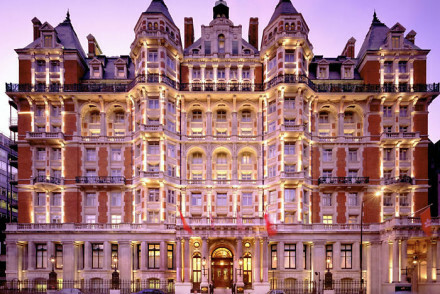 Sights nearby - This hotel boasts a wonderful location opposite Buckingham Palace and close to The Mall. 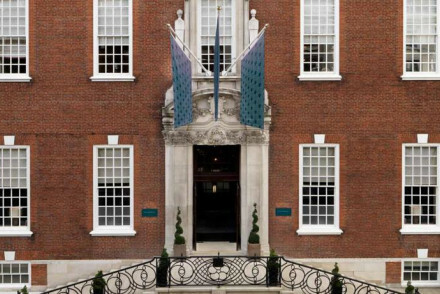 A perfectly-positioned luxury townhouse hotel near St James’s Palace with a rich history, contemporary art and comfortable rooms. Enjoy British classics at The Game Bird restaurant and cocktails at the American Bar. Sights nearby - Buckingham Palace at one end of The Mall, and Trafalgar Square at the other. Local markets - Southbank is home to food markets all year around. Grand hotel with a 21st century approach, top quality and irresistibly seductive. Perfect. A luxurious reinvention of a London institution. Spacious rooms and suites whose interiors perfectly blend the modern and contemporary with beautiful period features and bathrooms of sheer indulgence, carved from stunning Carrera marble. Good dining options and a seriously cool spa and pool. 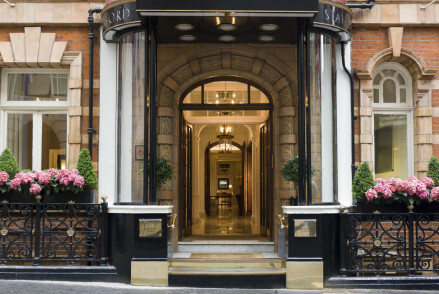 Art deco style luxury hotel in a quiet side street a stone's throw from Bond Street and Selfridges. Rooms are spacious and bright with keen attention to detail continuing the art deco theme. Delicious food and A Lister spotting in the Colony Grill. Perfect for a luxe shopping break! Sights nearby - Bang in the centre of town. Easy access to all of London's highlights. 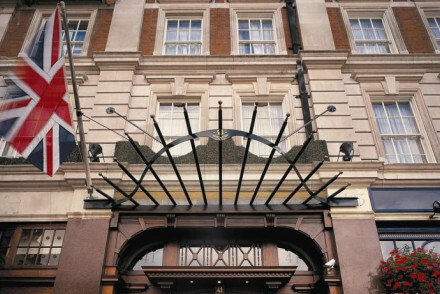 Dukes Hotel is wonderfully situated in the heart of St James's, just a few minutes from Piccadilly. Recently renovated, the hotel combines history with more modern touches to provide a truly excellent stay. Relax in the garden with a cigar and a cognac or grab a martini at the bar! Stunning Grand Dame with impeccable service opposite Hyde Park, offering beautiful rooms and suites, some with terraces and many with great views, a rooftop pool, iconic bar, pampering spa and gourmet dining. The perfect luxury city break. Five star luxury and design are paramount in this hotel, which comes with a spa, bowling alley and fitness centre. Ideal for high-profile business meetings or lavish events with huge, well-equipped meeting facilities. 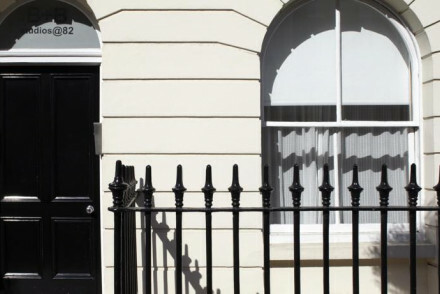 Ideally located in central London, with Trafalgar Square only a 10 minute walk. Glossy Art Deco-flavoured sister hotel to The Dorchester, with the same first-class service & views of Hyde Park. Lobby with wow factor, rooms & suites with sleek lines, sensuous fabrics, stunning marble bathrooms and haute cuisine breakfasts. A cosmpolitan destination that oozes glamour. Sights nearby - Fantastic central location with easy access to the best of London. 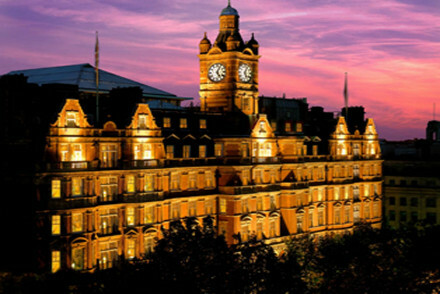 Legendary London luxury hotel with great views of Hyde Park, close to the best shopping, with topnotch restaurant, spa and bar. The discreet and understated ‘grande dame’ of Mayfair. 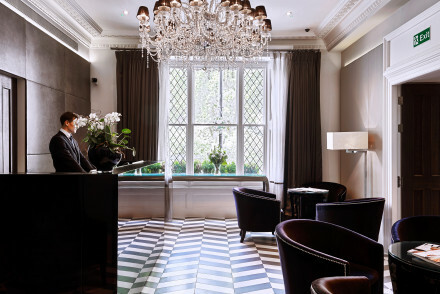 This hotel is the epitome of old world Britishness meets contemporary elegance and design. Impeccable service from the fleet of butlers, the ultimate in traditional comforts. Chic restaurants and bars match the world class Aman spa. A must stay. City Style - The last word in luxurious London hotels - a sleek revamp to Mayfair's finest has sharpened the edge of this historic hotel. Spa breaks - World renowned Aman spa offering green-tea foot baths, Oriental oil massages and red clay body wraps with Navajo herbs. Art Deco inspired, luxury-centric hotel in the heart of Mayfair offering seamless service, spa treatments and gym facilities. Large, contemporary rooms exude comfort. Whether it is the famous afternoon tea in the 1930's Reading Room or a gourmet meal at the restaurant, be ready to be spoiled. Sights nearby - Nestled in the embassy district of town, you will see many old grand buildings.